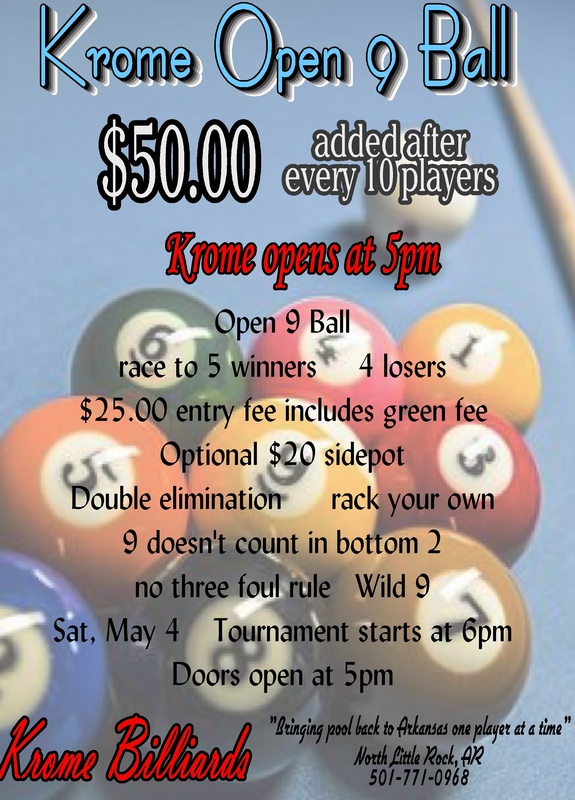 Krome Pool League (K.P.L.) – Was created for Arkansas residents to have a handicapped tournament based league. We only play in house at Krome Billiards. Players need to play a certain number of regular monthly tournaments to be eligible to play in the big added money one at the end of the session. Each tournament has a green fee and we also have an auction. We use modified BCA rules. 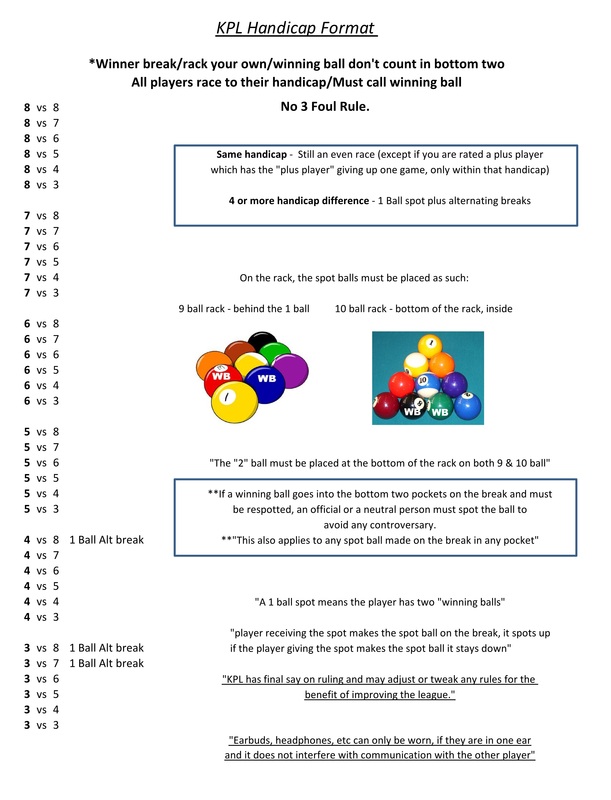 Generally we only play 9 and 10 ball, but have been known to throw an 8 ball in occasionally. This is a great opportunity to be able to play the higher caliber players, but still have a chance to compete. There is a $20 membership for the session.